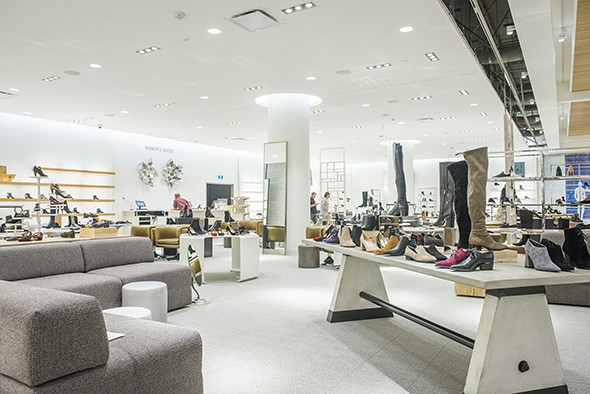 Nordstrom's first Toronto location and Canadian flagship takes up a sprawling 220,000 square feet at CF Eaton Centre, right by Dundas Square. 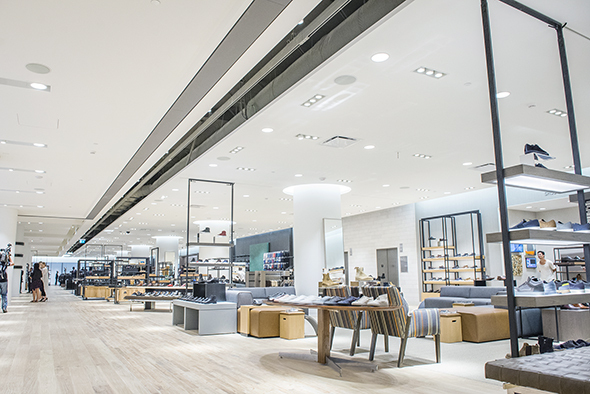 Although it's the U.S. department store's fourth foray into Canada, this 3-storey space definitely has all the bells and whistles. 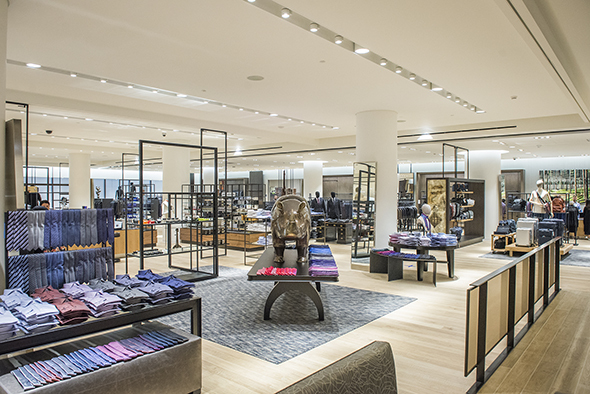 Aside from the shiny floors, gallery-esque lighting, and distinctly merchandised men's, women's, and kids' sections characteristic of an upscale department store, Nordstrom also made a handful of unexpected design decisions. For one, the layout is pleasantly straightforward: rectangular, with all the escalators in the centre, so it's near impossible to get lost weaving through the space. 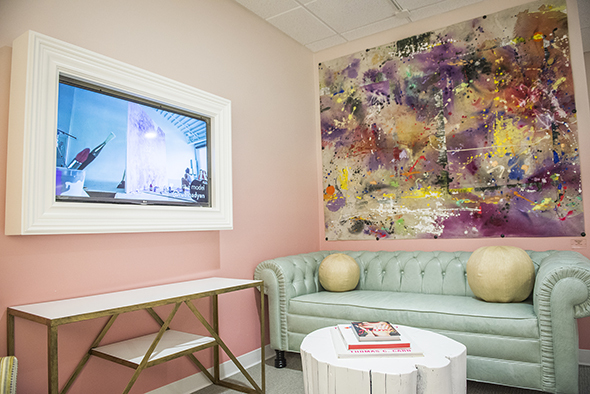 Two, the walls, ceilings, and floors are alive with paintings, sculptures, and fixtures by Canadian and international artists alike - including Toronto's own Anda Kubis, Franco DeFrancesca and Moss & Lam. And lastly, there are not one but two bars to lounge in. I can't decide which feature is the most important. As for the clothing, the high end designer goods are the showstoppers. 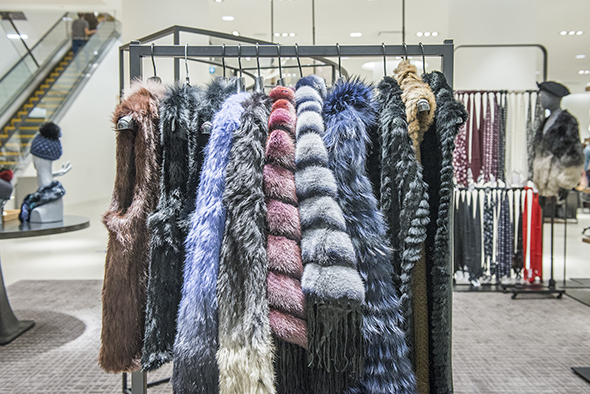 Nordstrom highlights brands like Acne, Prada, Alexander Wang, Rick Owens and Yohji Yamamoto by carrying some of their most exciting garments; their buyer definitely doesn't shy away from bold colour and kooky silhouettes. 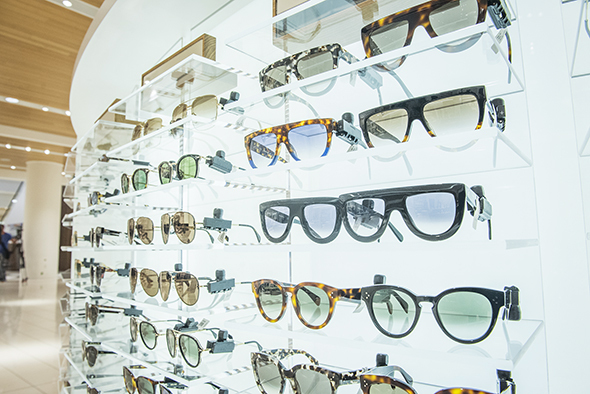 Contemporary collections are also found here; trend-focused pieces from the likes of Nike, Calvin Klein, and Levi's can be counted among their stock. 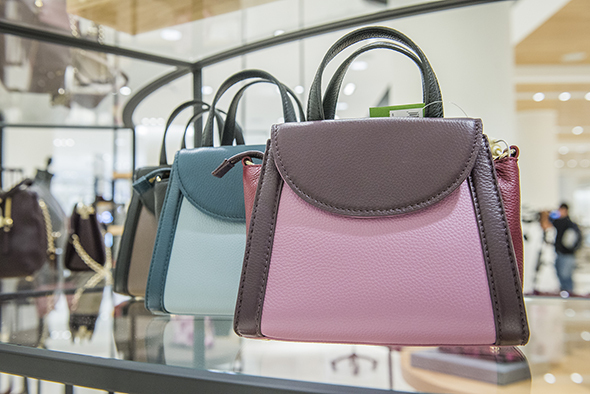 Of course, there's no shortage of shoes, handbags, jewellery, makeup, skincare and fragrances. 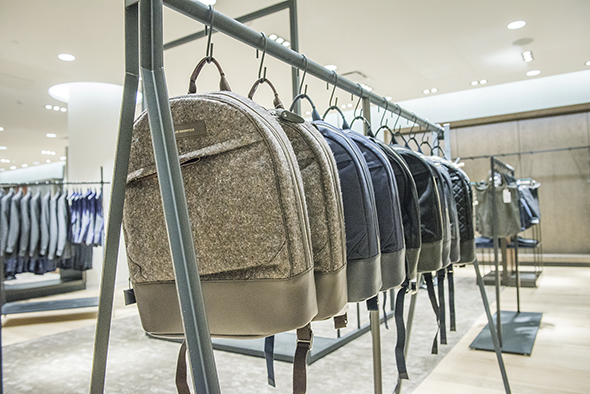 However, in an increasingly competitive Canadian luxury market, it's the special services that make a retailer stand out. 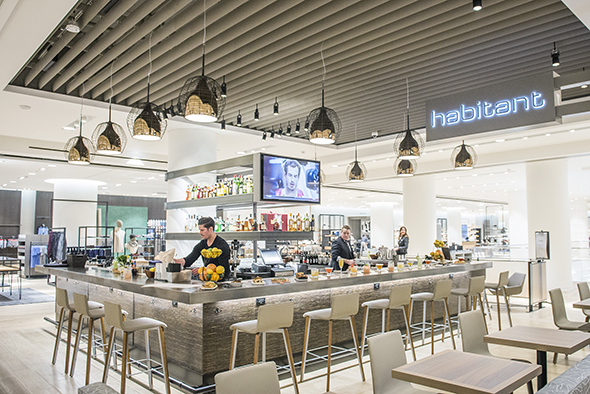 Nordstrom boasts a concierge desk, personal stylists, private shopping suites, alterations and personalizations, cell phone charging stations, same-day delivery, and more. 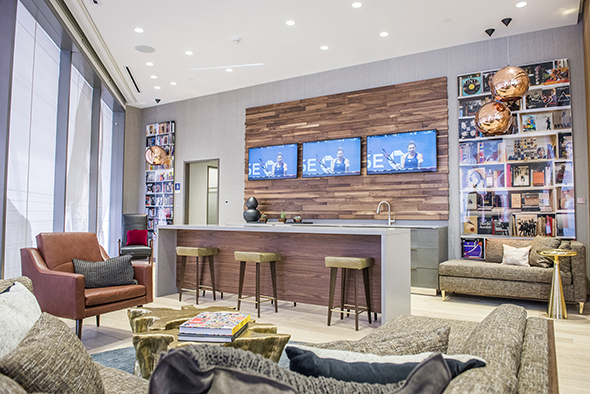 A pop-up space in a prime area on the first floor features a different brand or concept every month. 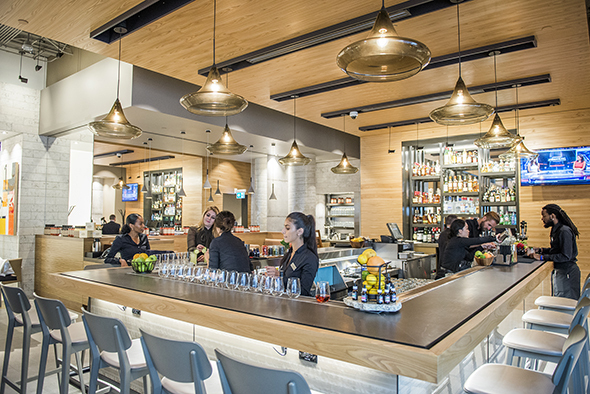 They also have a cafe, restaurant, and luxury candy store on-site. Did I mention there are two bars? 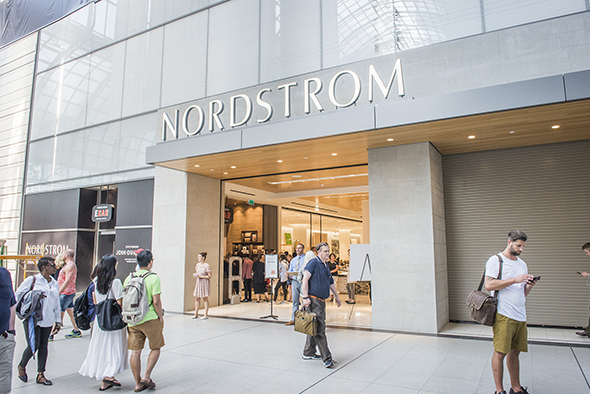 Todd Buntin, the General Manager, says Nordstrom recognizes they have a lot to learn about the Canadian market, and will evolve throughout their careful expansion. I'm intrigued to see what they come up with; the flagship seems to already have it all.